Lately, my daily preparations for venturing to the dog park resemble being outfitted for an expedition to a polar region. Its cold, but not that cold. I am just a weather wimp. I have invested heavily in Under Armour which I wear in four layers under my down coat (picture The Michelin Man). A hat, double gloves, ski socks, and snow boots complete my ensemble. If you are a dog person, this level of dedication to my dog’s exercise routine isn’t surprising. Most non-dog people I know, are quite sure I am nuts. My Sheltie isn’t phased by the cold. His ancestors worked herding sheep across the windswept hills of the Scottish Shetland Islands. Under his silky topcoat, he has a second insulating layer of fur. Cold weather fills him with joyous exuberance. I am phased by the cold. Though some of my ancestors came from Siberia, I do not appear to be genetically programmed to withstand temperature dips. Cold weather fills me with cold. After an hour (or two) at the park, I am in need of liquid warmth. It has become my routine to return home for a late afternoon “cuppa”. Sometimes I make a cappuccino. Often I brew some tea. I usually go for fruity or floral teas, but for defrosting purposes I like Earl Grey, preferably accompanied by a piece of Scottish Shortbread. There is something about the rich, buttery flavor of shortbread that I find both soothing and restorative. 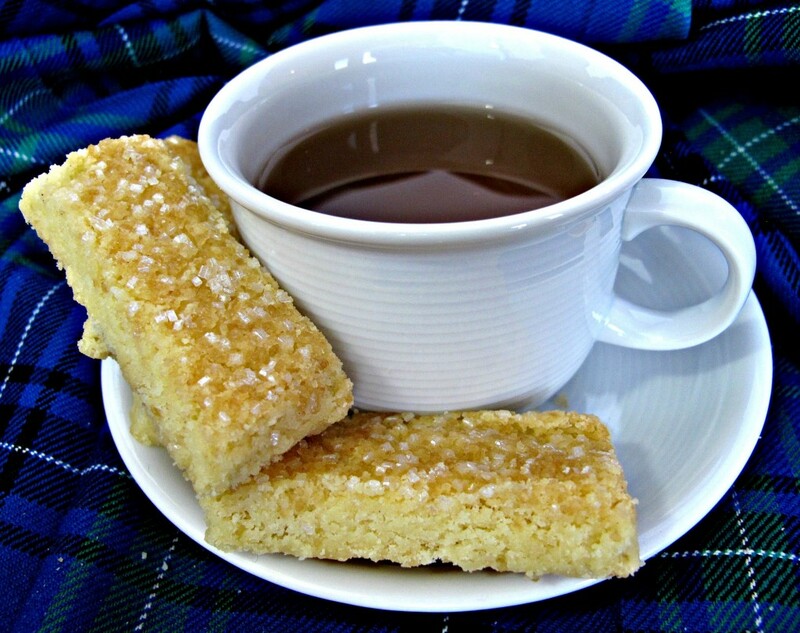 Shortbread is Scotland’s gift to the cookie world. Thank you, Scotland! 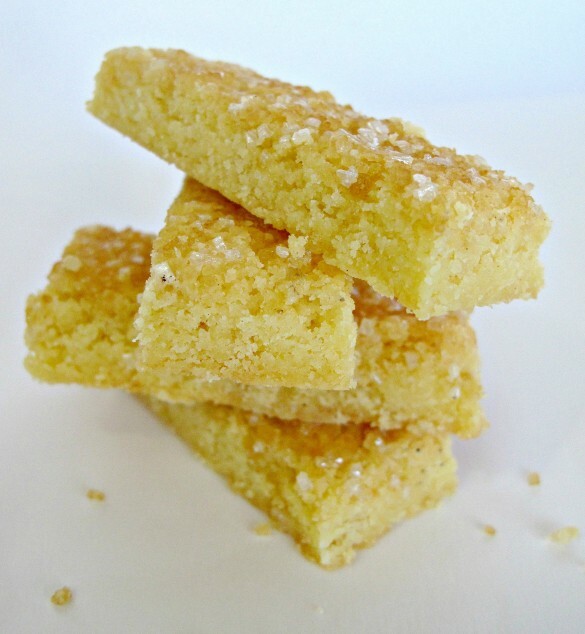 It is the simplest of cookies to make and calls for the simplest of ingredients.Traditionally, Scottish Shortbread is made with a 3:2:1 ratio of flour, butter, and sugar. By adding rice flour (or corn starch), the cookie gets a slight crunch to its tender crumb which melts in your mouth. Buttery flavor is the main focus here. 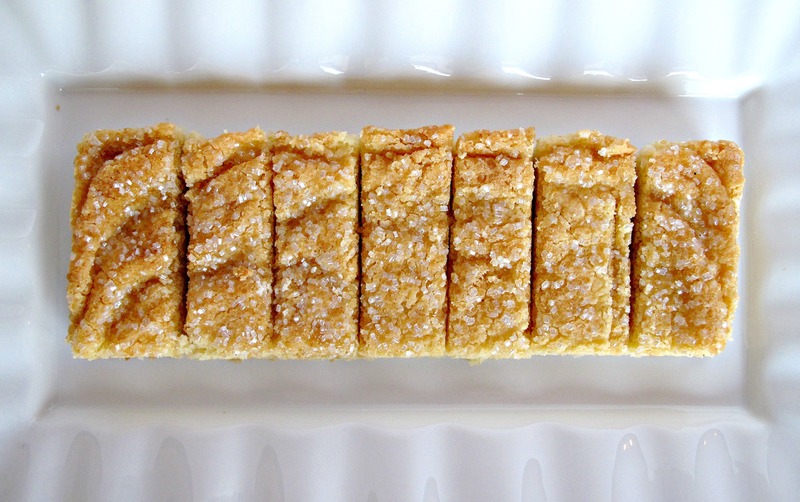 I splurge and use a European butter (usually Kerrygold) for shortbread. European butters have a higher butterfat content than American butters which gives the shortbread a more intense butter flavor. I highly recommend it. 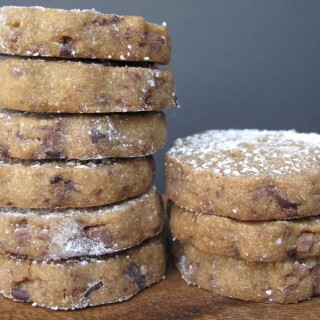 Stored in an airtight container at room temperature, shortbread stays delicious for at least 2-3 weeks making it an ideal cold weather care package cookie or year round cookie jar standard. The flavor gets richer over time. Because of the high butter content, I do not advise mailing shortbread under hot weather conditions. Preheat the oven to 350 degrees F. Line an 8” x 8” pan with parchment. In the bowl of a stand mixer, combine all ingredients until a dough forms. Press the dough evenly into the prepared pan, then sprinkle with decorating sugar mix. Press the sugar gently into the dough so that it will stick. 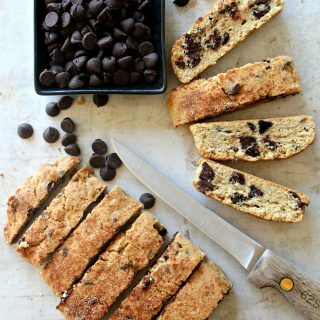 Optional: If you want to prick the dough with a fork, first score the dough into bars by pressing a knife partially into the dough. Then use a fork to create prick marks within the scored lines. Bake for 25-35 minutes until lightly brown. Allow to cool in the pan until warm (about 10 minutes) then cut. Cool completely before removing from the pan. Store at room temperature in an airtight container for at least 3 weeks. Double wrap small piles of cookies in plastic wrap then place snugly in an air tight container for mailing. 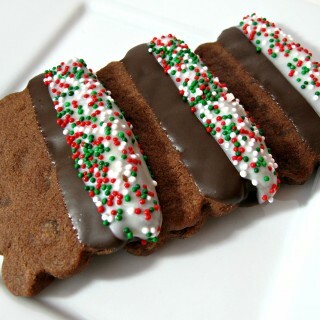 For more shortbread favorites, try these! Me too, Jennifer! 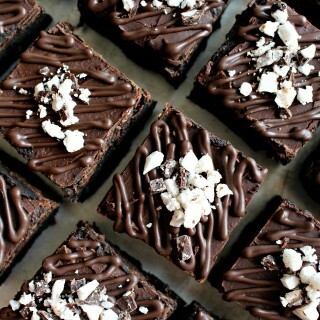 These are so simple and SO good! Beautiful, Wendy: i’m going to make these post-new year, because i don’t keep European butter around the house, but i love the suggestion to make these with it, and i intend to do so. I don’t blame you one bit for bundling up: i always imagine myself a “cold weather” person…until it gets to about 30 degrees. Then? i’m a total baby. 🙂 and today, it IS cold, so if you’re headed out with your beautiful dog, you bundle up as much as you can. happy holidays to you and your family! Thanks, Shannon! 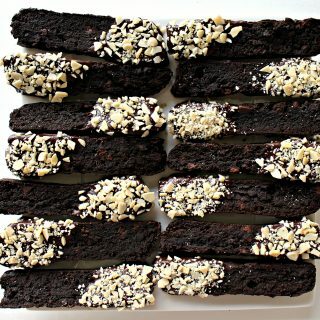 I hope you do get a chance to make these because they are really wonderful with a cup of hot something. They are not overly sweet or fussy in any way. 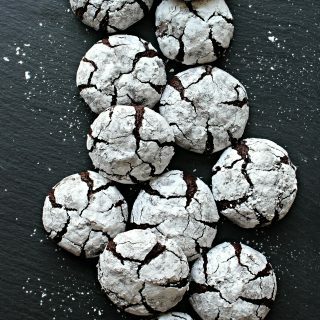 Just comfort cookies. 🙂 They are a showcase for butter flavor, so the more intensely flavored European butters make a tastier shortbread. Wishing you and your family a joyful, healthy, peace-filled Christmas and New Year! Oh I love shortbread – I made some vanilla bean shortbread cookies for Christmas and I think they were my absolute favorite! And I definitely do the same thing when we take our beagle outside for walks! I even invested in some earmuffs since my ears always get so cold! Christmas cookies are all good but they tend to be full of so many flavors and colors and textures. 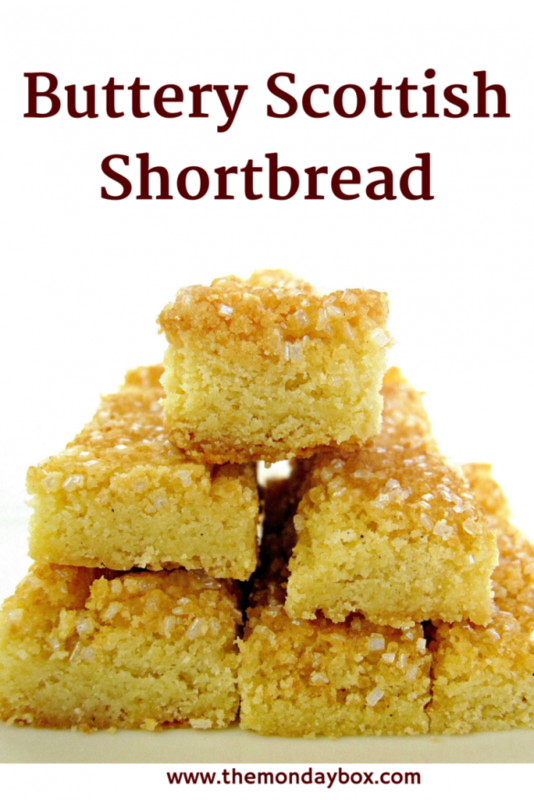 A simple delicious piece of shortbread is almost a relief! 🙂 Vanilla bean is one my favorites too! 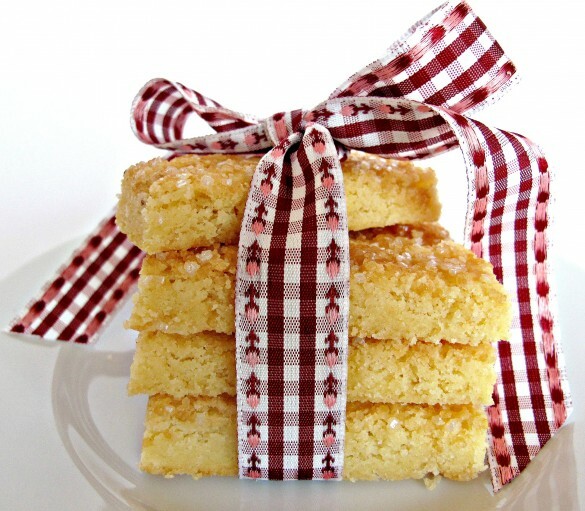 Stopping by from Show Stopper Saturday, your Scottish Shortbread looks awesome! Hope you are having a great weekend and thanks for sharing. Thanks, Helen! This was my first time trying Show Stopper Saturday and I am having fun meeting bloggers new to me! Thanks for stopping by! I hope you are having a great weekend too! 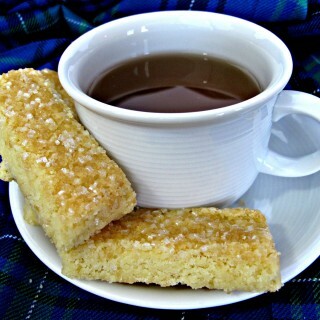 Shortbread is definitely a favorite of mine, especially with a hot cup of tea on a cold winter’s day! I will give this recipe a try! 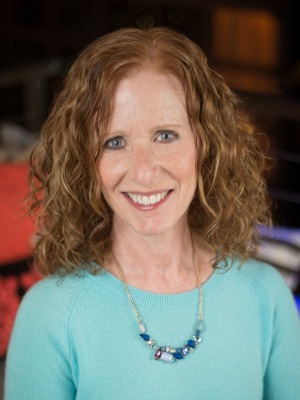 Thanks, Sheryl! I really like the crunch that the rice flour provides in these. I hope you like them. 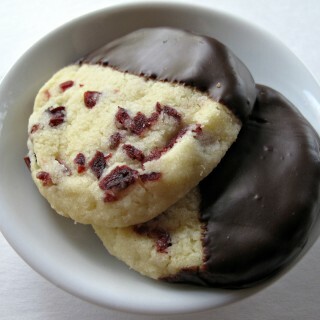 I love the very idea (and the imagine you conjure up for me) of sitting down with a “cuppa” something and a few of these shortbread cookies. Just lovely! That is savoring life, in my opinion. And shortbread is totally one of those simple, delicious things that’s almost under-appreciated. Happy New Year, Wendy – I wish you and your family good health, joy, laughter, and plenty of good eats in 2014! Happy, healthy, peace-filled New Year! Shortbread is the BEST. 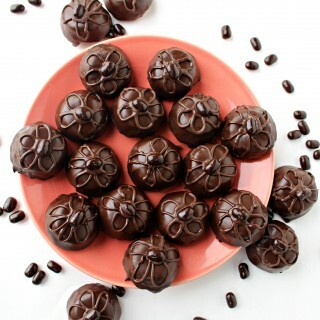 Totally loving this and can’t wait to try your version dipped in coffee! Thanks, Joanne! I agree. 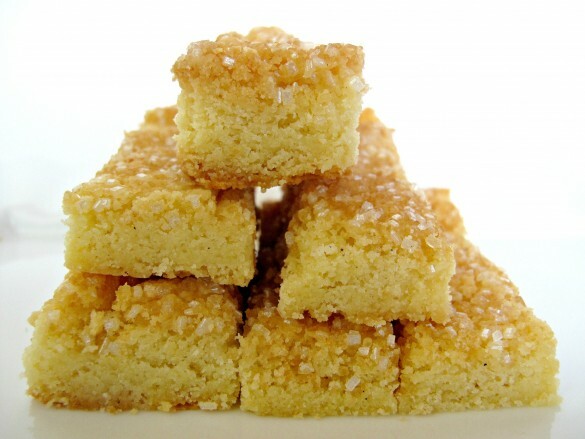 Shortbread is amazing. 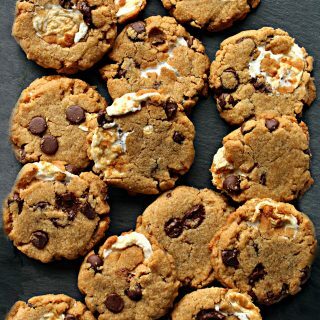 The buttery goodness can’t be duplicated in other cookies. 🙂 Dipping in coffee sounds wonderful! Thanks, Cindy! Never having been an outdoors person before, it amazes me that I actually look forward to my hours at the dog park! I had no idea that Under Armour worked so well. 🙂 It was scary easy to fall into a coffee/tea and “a little something sweet” routine each afternoon. Shortbread is really so good for that. 🙂 I hope you do get to try it and let me know what you think. I love the texture these cookies get from the rice flour.